Divorce Financial Solutions was created because of my personal experience with the divorce process. While going through my divorce, I thought I understood the financial issues that would affect me and my family. Wanting the divorce to stay amicable, I took a larger portion of the proceeds from the home instead of dividing the pension assets of my ex-husband. Did I anticipate a slump in the housing market or the commissions and taxes that would lower the amount I would receive? No. Nor was I advised on these financial issues. I noticed that attorneys were excellent at working through legal procedures, understanding legal rights, and resolving conflict, however, they did not address any of the financial matters which would affect me after my divorce. What I found was they really did not have the level of knowledge regarding financial, tax and valuation issues that most people require. Furthermore, they did not project the impact of settlements into the future.I also observed that the attorneys or paralegals did not have the time to educate their clients regarding the pertinent financial matters. In fact, I would make the case that this really is not their job anyway. But, in almost all marriages, there is a financial information imbalance – where one party has far more knowledge about financial and tax issues than the other. I want to make sure clients are educated on these issues. I continually look for new ways to give them my personal best in attention, intelligence, care, and overall service. I really try to know my clients, their feelings, aspirations, goals, philosophies, concerns, hopes, fears and dreams through a “discovery” process. Based on the data provided, I proactively work with other advisors and specialists to identify and address problems and needs. Following my own divorce, I became certified through the Institute for Divorce Financial Analysts – www.instituedfa.com specializing in financial divorce issues. 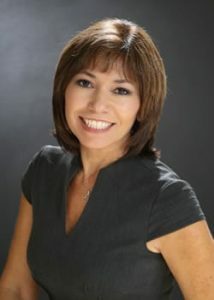 I am also a member of the Collaborative Law Institute of Texas – www.collablawtexas.com and the Financial Divorce Association –www.fdadivorce.com. Although I work with both men and women, most of my clients are women. And because women are expected to live nearly 90% longer in retirement than men, it is essential that they take control of their financial future. I am also a financial advisor and operate on a Fee-Only basis, meaning I never sell financial products or collect commissions for any type of planning or assistance provided. Financial concerns represent the bulk of the issues that make up most divorce settlements. Divorce Financial Solutions is devoted to helping individuals avoid the financial minefields that are inherent in every divorce case. As our clients’ financial stewards, we bring an experienced team to the table to support your efforts in constructing an equitable settlement.